We are lucky enough to have Dr. Sula Vanderplank helping us here in Bahía de los Ángeles, and it has been delightful. 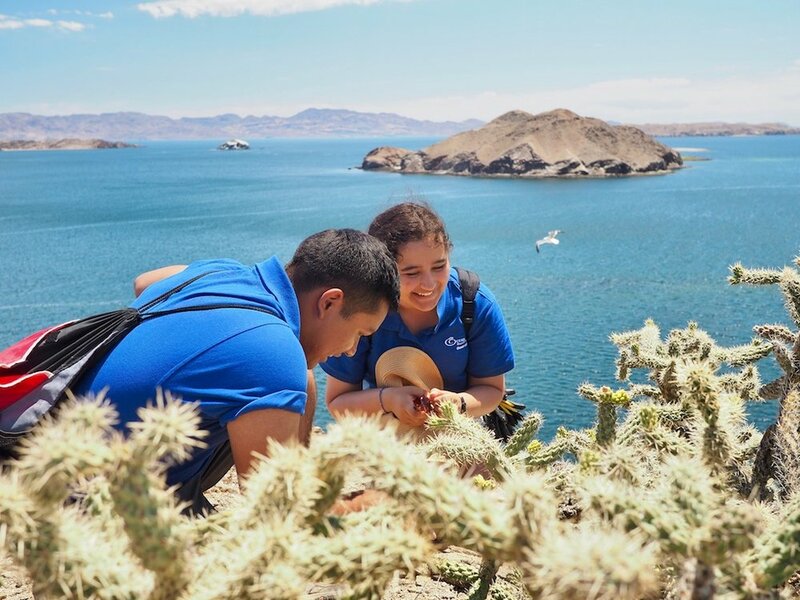 Sula is not only one of the world's leading experts on Baja California plants, but she is also a passionate communicator of science, a great mentor to the students here, and a dear friend. We have all learned a lot, and she has managed to create a bunch of budding botanists out of our Ocean Discovery Institute students! first week of fieldwork done! Already managed to sample seven islands, and tomorrow we start checking our pitfall traps and completing the invertebrate census work. Tomorrow night, Dr. Sula Vanderplank will arrive to help us get started on looking at the island vegetation. We have seen dolphins, scorpions, sea turtles, blue-footed boobies, coyotes swimming in the wetlands - just an amazing variety of life here in the Biosphere Reserve. Can't wait to see what week two holds in store for us! BAHIA 2018 in full swing! As usual, a great group of kids, a broad overarching project (maintaining a long term insular invertebrate census database in Bahía de los Ángeles), and a cool focal project, comparing multiple methods of measuring plant communities to see what works best for what species. Whale sharks are out in force (not as good as Fundulus, but they are pretty cool), as are blue-footed boobies, dolphins, and frigates. well deserved recognition for a wonderful person and ecologist. She is very much missed. Off to work with Ocean Discovery Institute students in Bahía de los Ángeles again, a lab full of talented and dedicated graduate and undergraduate students, and coming home to head off to CT and hang with family and see Hamilton on Broadway. Nice to see so many students and colleagues concerned about gun violence. CERF William A. Niering Outstanding Educator Award? Are you sure you got the right guy? It has taken me far too long to write about this, but I think in part that was my reluctance to engage in what felt like shameless self promotion. Well, fear not - I am filled with shame as I engage in this self promotion! I was staggered and honored to be presented the Coastal and Estuarine Research Federation’s William A. Niering Outstanding Educator Award at this Fall’s conference. I wanted to take the opportunity to say just how humbling this is, and how grateful I am for the honor. This one has particular meaning for me for several reasons. First, while I never met Dr. Niering, I heard his name and reputation frequently, beginning when I met Theresa (my wife) at San Diego State University in 1991. She had graduated from Connecticut College, and spoke often and warmly of Bill Niering. She praised his teaching, his knowledge, and his passion for his students and for nature. Despite never having the chance to meet him, he was (and is) nonetheless very much a presence in our house. Second, to receive this honor from Coastal and Estuarine Research Federation, which is the go-to organization for coastal and estuarine ecologists, makes getting this distinction all the more surprising. I am stunned to see my name on the list of nine awardees since 2001 that includes Joy Zedler, John Day, Ivan Valiela, and Alejandro Yáñez-Arancibia. Getting to receive the award with my wife, daughter, and in-laws just made it that much better. And I was deeply moved by the kind words of those who wrote letters of recommendation - students, colleagues, and mentors who offered me praise I am not certain I earned, but that I will work hard to deserve. As I said at the award ceremony, I feel as though I have somehow pulled off some sort of scam…I get to work on projects I love, with people I love, and in places I love, and somehow I get awarded for that? It hardly seems fair! Here is a picture of me with my wonderful grad student, Katie Blaha-Robinson, who was also honored with a well-deserved CERF Rising TIDES award at the conference! I have been asked a few times about what podcasts I would recommend, and yet on the spur of the moment I rarely recall more than 3 or 4 of my favorites. Seems like putting them in one place is not a bad idea. Of course, treat this is a moment-in-time sort of list. New podcasts are released all of the time; my taste in podcasts changes with time; and some beloved podcasts end their run ("Hypercritical" comes to mind). And there are some GREAT ones that will not get mention here (e.g., RadioLab, Wait Wait Don't Tell Me, Invisibilia - if you arent listening to those you should be). I am assuming most people who listen to podcasts have heard of these large-scale, NPR backed ones. Rather than try and create a taxonomy of podcasts, I will just break these into "tech" and "non-tech". When possible, I will also add a recommended "starter" episode, so you dont happen on an unrepresentative one. The Beef and Dairy Network. This is the equivalent of a mockumentary, with short episodes where the conceit is how seriously the people are taking their meat and dairy related topics. Not to everyone's taste, I am sure, but if you want to give one a try, I would recommend Episode 20, The Lamb Investigation Special. Judge John Hodgman. You need this podcast. Hodgman and his "bailiff", Jesse Thorn, are funny, smart, and (I don't say this lightly) wise. People bring their disputes to his fake court of internet justice, and he hears both sides (usually something inherently minor, like arguing over whether the soap dispenser in the kitchen sink should be filled with dish soap or hand soap), and then they somehow provide thoughtful insight on broader issues. The best episodes are when Jesse Thorn is the bailiff (he is rarely replaced by guest bailiffs, who are also great, but not AS great), and episodes where they "clear the docket" (going through numerous cases in short order) are also great. If you are on twitter, both of them are good follows (@hodgman & @JesseThorn). Try episode 313, "The Sisterhood of the Gaveling Pants"
Also, consider checking out Hodgman's book, Vacationland, which is funny, poignant, and just beautiful. Bullseye. Also on the Maximum Fun Network (I am sensing a trend). Here Jesse Thorn interviews...well, just about everyone. I Don't listen to them all, but I DO listen when it is, say, Neil deGrasse Tyson, Jack Black, Fred Willard, The Pointer Sisters...you get the picture! Jesse Thorn is a thoughtful and talented interviewer. Pick someone you like, and listen to that episode. Pod Save America. Based on the number of their T-shirts I am seeing these days, they have quite a following. Another one that I don't put on my "can't miss" list, but very very good. 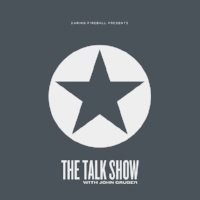 As they put it "This is a political podcast for people not yet ready to give up or go insane, hosted by Jon Favreau, Jon Lovett, Dan Pfeiffer and Tommy Vietor". Hello Internet. Another in a long line of podcasts by two white dudes who talk about stuff, that is where the similarities to usual podcasts ends. One former journalist turned You-Tuber (who does math and science videos), and one former teacher turned You-Tuber discuss anything and everything, from Brexit to fear of heights. I am not doing it justice, but try it. You'll thank me. No Such Thing as a Fish. Toss a bunch of science geeks into a room, give them each the opportunity to talk about one weird/amusing/interesting story in science from the week, and this is what you get. Funny, educational, and should be on your list. I confess I didnt really know a lot of the music by John Roderick and The Long Winters until recently (although what I knew I did like). It turns out that he is also thoughtful, funny, candid, and astute, and together with one of my all-time podcast favorites, Merlin Mann, they create varied, funny, sometimes poignant podcasts that tend to take a long, entertaining path around their various topics. OK, they mean it when they say "not for kids" (although I would be lying if I pretended my daughter has never heard any of them - what can I say, she loves Justin McElroy!). It can be a bit uneven (I suspect even the hosts would admit that), but I have laughed aloud many a time in the gym or car listening to them. Good stuff. Episode 351, "Omnidirectional Scampi Blast" is not a bad place to start. This was a wonderful show when John Gruber did it with Dan Benjamin on the 5x5 Network, and it is just as good now as an independent. Gruber is an Apple fan without the "fanboy" traits, and really sets the bar as someone who can objectively and deeply analyze the tech industry, regularly providing really insightful commentary on everyone from Samsung to Uber to Amazon. Great guests as well as high production values make this a go-to for me. David Sparks and Katie Floyd (mac geeks and attorneys) do a weekly podcast focused on Apple hardware and software. They keep things informative, fresh, and engaging, at least in part due to the chemistry between the hosts. This is a tech podcast that is accessible to non-geeks, but also great for those of us who are pretty deep in the weeds with tech. I look forward to every episode. I have been listening to these two guys talk about mac-related tech (and other stuff) for years now, and I never tire of it. It has a lot in common with Mac Power Users, but these two are slightly more focused on helping people solve their tech problems. Again, I would not miss it, and have learned how to solve a ton of issues with iPhones/Macs by hearing other people's problems. One of my all-time favorite podcasts was Hypercritical, with John Siracusa. He is passionate, smart, opinionated, and engaged in social issues (well worth following if you are on Twitter - @siracusa). He, programmer Marco Arment (@marcoarment, creator of the best podcast client "Overcast"), and Casey Liss had a podcast about cars (Neutral) that I tried really hard to like, but just didnt have enough interest in the topic to stay engaged. It turns out, though, that they often strayed back into tech topics, which led to the creation of "ATP". These often run long (sometimes topping 2 hours), but if, like me, you find you love listening, that seems like a feature not a bug. Am I missing some I should be listening to? Let me know in the comments! The REUs went to the Birch Aquarium at Scripps Institution of Oceanography to learn a little about climate change, oceanography, and seahorses. After that, we all headed to the Gliderport at Torrey Pines to enjoy the view (and delicious sandwiches - seriously, if you are in San Diego, you NEED to go there). It was a great time, and as you might expect, if you put a bunch of scientists together, the conversation always turns to science, grad school, careers, etc. Nerdy fun! That's right, the Fleet Science Center is having another of their "Two Scientists Walk into a Bar" events on Thursday, July 13. Twenty five bars around San Diego will have pairs of scientists sitting there to answer your questions about - well, anything! Check out the list - there will be geneticists, oceanographers, ecologists, physicists...lots of opportunities to chat with someone who does this stuff for a living. What is the scariest creature in the ocean? How do you decide what you want to study? What is a typical day like for a scientist? What is the coolest thing you have learned? If you ever wanted to chat with a scientist, Thursday will be your chance! With Team Fundulus in full swing, we can expect a summer that is rich in science, fun, and fundulus. Happy Holidays and a kiwi new year! Spending Christmas night in LAX and then on a plane, headed for New Zealand with family. Should be an exciting trip - teaching an intersession USD Second Year Experience course in Auckland, But before that, we will tour the South Island, visit with our friend Simon Thrush, and look for onychophorans. Hopefully will manage to update here, or on twitter, or maybe will try and resurrect my moribund instagram account (which has apparently been hacked). In any event, happy new year everyone! 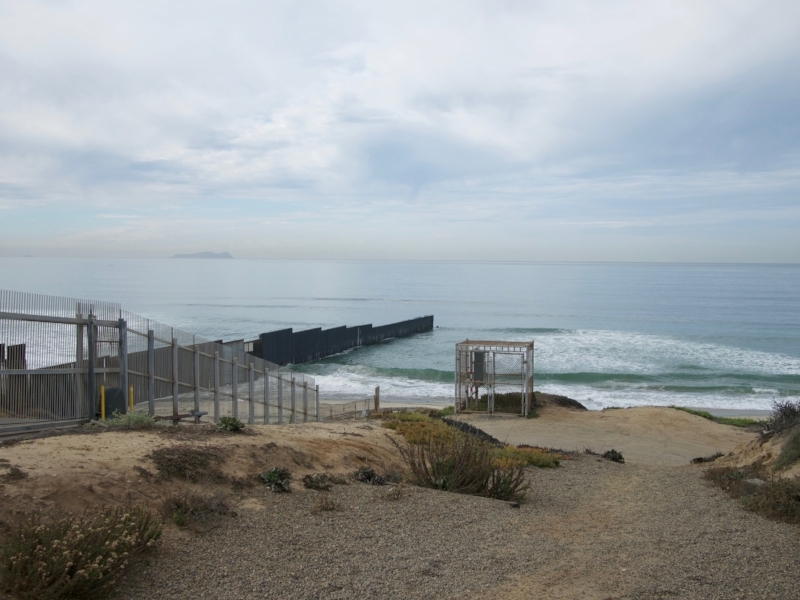 Our Sustainability LLC went to the Tijuana River National Estuarine Research Reserve Saturday, followed by a trip up to Border Field State Park. A super interesting trip, from an ecological, social, and gustatory perspective. 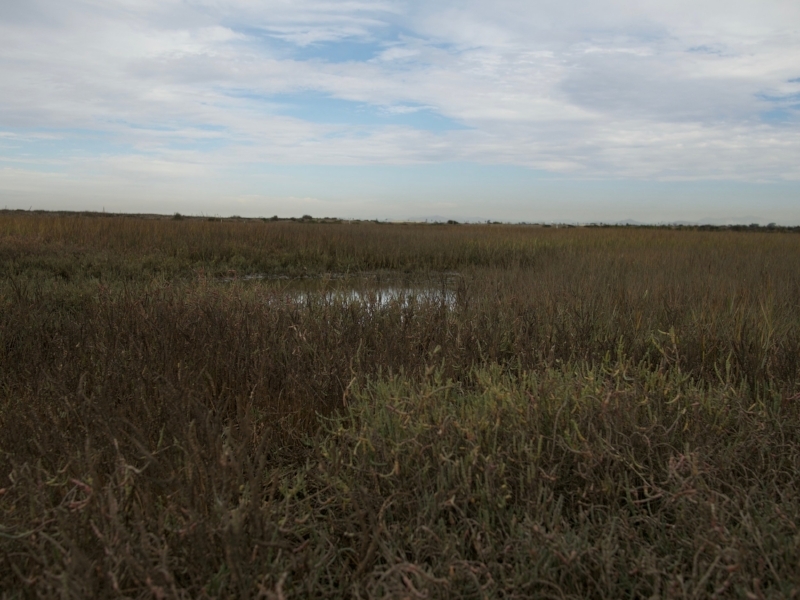 Our visit allowed us to visit the "Model Marsh" - a groundbreaking restoration project using adaptive management to improve our ability to create and restore southern California wetland ecosystems. Planned by Dr. Joy Zedler and the Pacific Estuarine Research Laboratory back in 2000, this marsh has taught practitioners a lot about how best to mitigate the huge losses of salt marsh in southern California. We also were at Border Field State Park on a pretty important day - surrounded by the press and Border Patrol, the gates were opened to allow a small number of families, separated by the border fence, to meet, talk, and embrace. 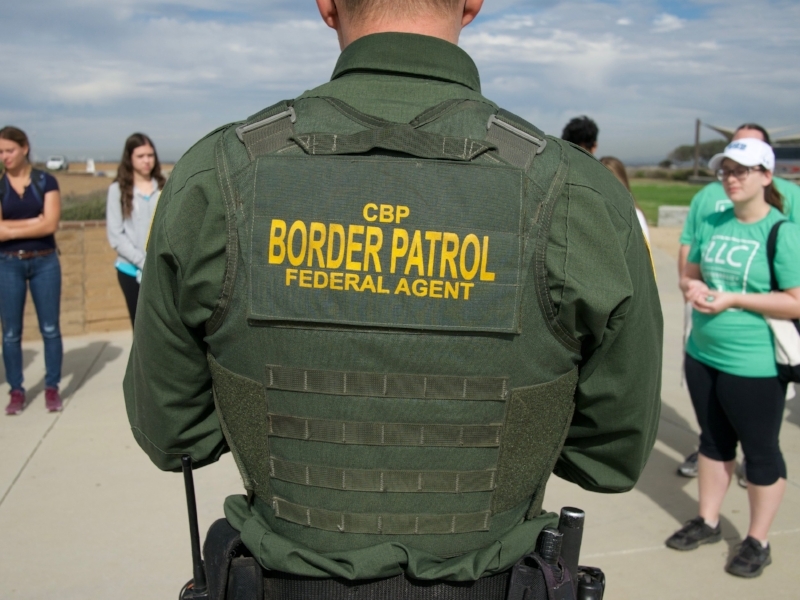 This combination of exmaining environmental and social issuies helped to put the complex issues at the border into context, and is one reason why this is always one of my favorite events in the LLC. We also got to enjoy the ridiculously delicious burritos from North Park's family-owned "Panchitas" - if you havent had the chance to try their breakfast, dinner, and panaderia offerings, you are truly missing out. On this thanksgiving week, I am extremely grateful to everyone who made this trip not only possible but such a success, in particular Dr. Jeff Crooks (Tijuana River National Estuarine Research Reserve), Chris Peregrin (California State Parks), and the Border Patrol Agents, Border Angels, and all of the support staff who helped make this trip so informative and eye-opening. yesterday was yet another fun outing with the University of San Diego Sustainability LLC. While we didnt get a great turnout (halloween weekend, maybe? ), the students and faculty who *were* there were engaged, enthusiastic, and we all learned a lot. Oh yeah...and ate a lot of amazing food. We were fortunate to have a docent from the Tecolote Canyon Natural Park join us - Jim Roberts, a retired physicist and now a plant and restoration expert, who agreed to spend the morning with us teaching us about the native and invasive plants, the managment challenges in tecolote, and the use of the canyon by native americans. After a hike into the canyon learning about microclimates, oak trees and red-tailed hawks, we got to pretend we were fancy and hang out at brunch at La Gran Terrazza. As it always is there, the food was amazing, and having the whole restaurant to ourselves made us feel just a little decadent and pampered. Looking forward to our next LLC event! wanna see a cool blog post? well, not here, of course, but take a look at this one over at Phytophilia! It wasn't until about 8 years ago I found what I considered a great field knife. It was a Cold Steel Voyager, with a tanto blade. While it was never billed as corrosion resistant, any rust comes off easily with a kitchen scrubber, and the tanto blade (see that nice flat edge at the end?) allows for it to be slid under stubborn chitons or limpets to pry them off rocks. The problem is, Cold Steel changed their design a few years ago (2011 I think), and while you can still get one with the same length blade, it is now wider, with a bigger, heavier handle. Still a good field knife, with an admittedly better grip to it, but that extra heft is more than I want or need. Thankfully, I found another field knife that I also love. It is a Spyderco Saver Salt. Not quite as small as my old Cold Steel, but still light, with H1 steel that has incredible corrosion resistance, and a ~3" sheepfoot blade that makes it safer on rough seas and slippery rocks. Better still, it comes in yellow, which I like because it makes it easier to keep track of and also seem less threatening (handy when at border crossings, for example). My beloved and well-worn field knives - older model Cold Steel medium Voyager on top, newer model in the middle, and Spyderco Saver Salt on the bottom. Citizen science and the library collections - should be fantastic! Opens at the San Diego Natural History Museum August 20th! An illustration from Georges Cuvier's "Le règne animal distribué d'après son organisation", 1828.